Framing a view: Naumkeag, designed by Fletcher Steel for Mabel Choate. 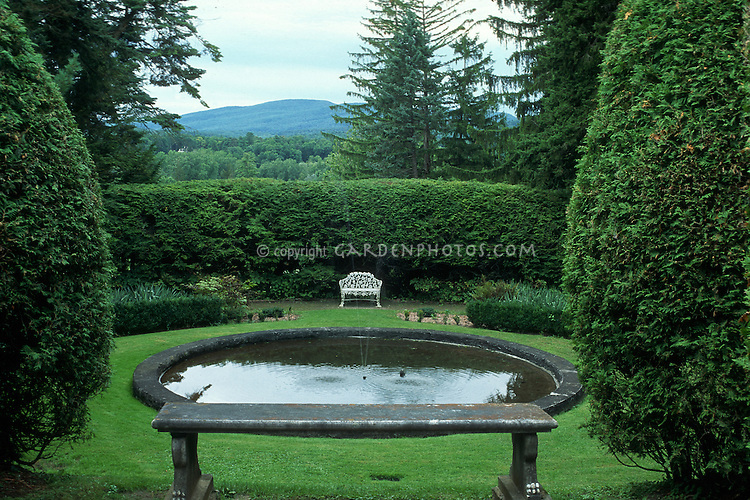 Reflecting pool with bench, overlooking Berkshire Mountains. Sculpture and form in design of a garden.